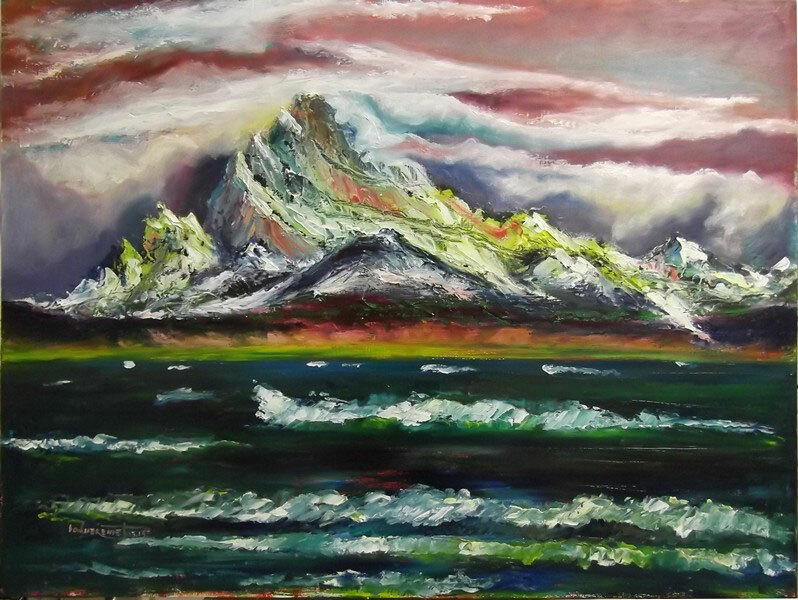 For a long time I've been looking for a combined motive of mountains and sea. I've found such a mountain named Fitz Roy at the lake Viedma in Argentina. It's a dramatic scene with heavy red sky, the proud rocks of Fitz Roy on the horizon rising above the wild waves of lago Viedma. 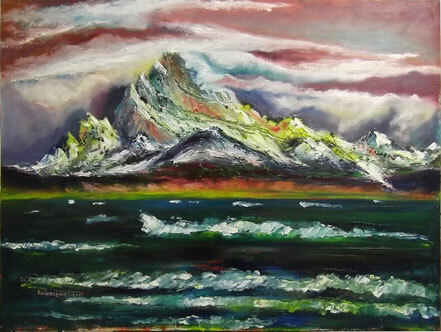 I've done this painting mostly with a palette knife as there is no better instrument to express the edged stones of a mountain and the spindrift of an effervescent lake.